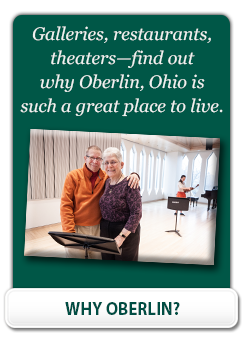 What is there to do at Kendal at Oberlin? Basketball is one of many activities for Fun Fitness Week. Resident Jerry B. writes about the committees at Kendal at Oberlin. The many resident-driven programs and activities make for an active retirement lifestyle. If you like to do your own things (listening to music, reading, needlepoint, TV, puzzles, hobbies or just relaxing) in the peaceful solitude of your apartment or cottage —- enjoy yourself! These are just some of the activities on the Kendal campus. This list does not include the many activities happening on the Oberlin College and Conservatory Campus and in the town of Oberlin. Come visit us and experience our vibrant and friendly community.